IV. In carrying out his “Witch Hunts” it is believed that McCarthy was cruel, disrespectful, and contemptuous toward his witnesses with little regard for their constitutional rights. Eager to put these so-called “commies” in jail, the standard histories say, the impatient, nasty, mean-spirited Senator from Wisconsin and his gang of assassins ran roughshod over innocent victims with little regard for fairness while his helpless Senate colleagues watched in utter dismay afraid to challenge him lest they too be accused of Communism. Surely, his was a reign of terror, a Washington version of the Salem witch trials. These are but a few comments from the standard histories- representative of what we’ll find in book after book, all on the same anti-McCarthy page. The evidence doesn’t support this. 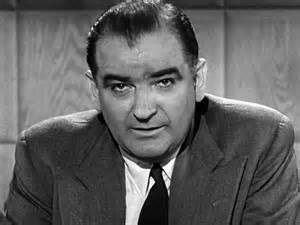 McCarthy “courteous?” How could anyone who had ACTUALLY BEEN WITH McCarthy say such as thing? Stanton Evans tells us to forget the standard histories, textbooks compiled by lazy historians simply regurgitating the party line, “movie history” and to doubt contemporary editorials* from hostile newspapers like the Washington Post. Instead look at primary sources, namely the transcripts of the ACTUAL Senate hearings, the official Congressional record, thousands of pages detailing McCarthy and his colleagues going about their daily business. Primary sources? Seems I remember reading once that REAL historians were supposed to take a strong interest in such things. It is particularly interesting that even in the bit of film shown in the movie GOOD NIGHT AND GOOD LUCK where we see McCarthy and Cohn being questioned in the McCarthy-Army hearings in 1954 by attorney Joseph Welch (who is clearly enjoying himself), McCarthy and Roy Cohn appear subdued, cooperative and even respectful demonstrating the “even-temperament” cited by Willard Edwards. Even in this carefully selected bit-of-film we do not view an out-of-control bully, a bulldozer of civil and constitutional rights. Furthermore, in the famous “gotcha” moment, when McCarthy produces the name of Welch’s associate as a potential subversive and a member of a highly questionable organization, he does so calmly and deliberately ONLY after being incessantly goaded and “double-dog dared” to do so by the grandstanding Welch (playing to the hoots, catcalls, and cheers of the anti-McCarthy audience) who had delivered one silly contemptuous remark after another such as: “Show me just one Communist and I’ll tell the FBI myself!” Clearly it is McCarthy and Cohn who are being bullied here! Watch this short bit of film objectively and forget for a few minutes what it is you’re supposed to believe about McCarthy the school-yard bully and simply observe what is occurring in this piece of film. GOOD NIGHT AND GOOD LUCK, a drama telling the story of the gallant Edward R. Murrow’s “heroic” and long overdue attack against the beast McCarthy was produced and funded by the imminent Hollywood historian George Clooney. By the way, the real Joe McCarthy was filmed many times. If a bit of film showing him in a very unsympathetic, “bullying” light does indeed exist, I’ve got a feeling that Clooney and company would have used it. Maybe they didn’t because such a bit of film doesn’t exist. An application of common sense might be in order here. McCarthy was elected to high political office in 1946 in what was usually considered a progressive state and RE-ELECTED in 1952 in the midst of his Communist-chasing campaign. An unlikeable, crude, “scruffy” drunken brute might, just might, win the first election but a reelection? I doubt it. From what I’ve read, McCarthy was popular back home and had little trouble getting himself reelected. This suggests to me that in 1952 the people of Wisconsin,( not Alabama) liked their senator and liked what he was doing! Oh, one last thing. Remember Joe Kennedy and his boys John and Robert, that Irish-Catholic bunch from Massachusetts? More bad news for lazy historians. They loved Joe McCarthy as well and had him over for visits to their family home on Hyannis Port at Cape Cod several times. The feisty young Robert even served as McCarthy’s assistant for a few months in 1954. When JFK ran for the Senate in 1952, McCarthy refused to campaign against his good friend, much to the disgust of fellow Republican Henry Cabot Lodge the incumbent who, of course, lost his Senate seat to the young Democrat challenger and future president. The friendship of McCarthy to the Kennedys has been a problem for McCarthy-hating historians. Few standard histories will even bring it up. I haven’t found any mention of it in the dozen or so bargain textbooks I own. Best not to, I guess; such an application of truth just confuses the issue and softens the picture of Joe McCarthy the caveman. After all, that’s the picture we’ve been programmed to see. In conclusion, the standard histories have mostly presented us with a simplistic one-dimensional cartoon Nazi, an inquisitor, a “Witch-hunter,” a melodramatic bad guy straight out of a 1950’s Hollywood B-rate movie that bears scant resemblance to the real Joe McCarthy. Here’s to you Kenneth Davis, as your book title indicates, you ( and your textbook colleagues) really “don’t know much about history.” At the very least, you guys are abysmally ignorant, and willfully so, when it comes to Senator McCarthy. Dig a little deeper boys and girls. Grow up. Quit insulting our intelligence. And give us, and the Senator, a break. *When we base our view of Joe McCarthy on negative newspaper editorials of his day aren’t we, in a sense, like future researchers basing their view of President Barak Obama on information gleaned from U-tube videos of Bill O’Reilly (Fox News) commentaries? My Democrat friends certainly hope that their grandchildren will dig a little deeper than that! Manchester, William. THE GLORY AND THE DREAM Vol. 1, p. 648. Murrin, et al. LIBERTY, EQUALITY, AND POWER. p. 742. Lamb, Brian. ed. BOOKNOTES:STORIES FROM AMERICAN HISTORY, pg. 315. Wartime atrocities are a tricky, difficult subject. And it’s hard, very hard to fight a “clean” war, even a war that is justifiable and necessary, where only the guilty are punished and all participants conduct themselves honorably. There are simply too many people involved. And even among the “good” guys, even in the good apple barrel, there will be a few rotten apples. Only those nations who allow others to fight the wars can plead innocence. Sweden, for example, stayed out of World War Two. They were fortunate. When it came to defeating Hitler and his legions, the British, Americans, Russians, and many others, even Brazilians, did the dirty work. They expended their blood and treasure to stamp out the worst threat to humanity ever to appear in that part of the world. Therefore nations like Sweden and Switzerland are off the hook when it comes to war atrocities. They get no blame. In a sense, they stayed in the house and watched someone else dig the sewer line by hand in the pouring rain. Once it was done, they used their restroom and took great pride in their clean hands. Of course, they get no credit either. Bad guys, rogue nations, and oppressive regimes do not go down without a fight. And those nations who join the fight to bring them down will, inevitably, cross some lines and make some poor moral choices. In the course of the terrible business, the painful but necessary operation they will do things they later regret. Often Americans say something like this: “Sure, the Germans did bad things in WW II. But so did we. The US did terrible things and violated the rules of warfare in Vietnam. We’re no better than they were.” I’ve actually heard otherwise intelligent people say things of this sort. When I hear such things I’m usually not sure where to begin the discussion-if there is to be one. Often such remarks are tossed out by people with few facts at their disposal and no intention of honestly debating the matter. (Indeed few people know HOW to really debate an issue, to enter into a respectful discussion where the ground rules are understood, the perimeters of the issue are defined, etc. )On such occasions, I do my best to keep my composure and temper. But….let me take a stab at this. Let’s compare the 1968 My Lai Massacre in Vietnam (a US wartime atrocity) to the work of German police battalion 101 in Poland (examined closely in Daniel J. Goldhagen’s HITLER’S WILLING EXECUTIONERS-see previous article) and raise the following questions: Was the crime of Lt. Calley and the men of “Charlie Company” in Vietnam just as bad, just as deplorable, just as heinous , as the crime of Major Trapp and his men in Poland 25 years before in the village of Jozefow in the Spring of 1942? Will such a comparison result in a moral equivalency between the two events? Are we, in a sense, comparing rotten apples to rotten apples or are were comparing rotten apples to a poisonous fruit? One must, however, recognize some important differences in the two scenarios. FIRST, the big picture is quite different. US servicemen were not sent to South Vietnam to massacre South Vietnamese civilians. There was no policy of genocide. Prejudice against the South Vietnamese was not promoted by the US government . Ostensibly, it was just the opposite. From Eisenhower to Nixon, over the long course of this cold-war conflict, the South Vietnamese were regarded as victims of Communist aggression and the US was there to help. US officials were in constant and widely publicized contact with SV leaders. The official US position was one of concern and respect toward the South Vietnamese government and its people. Of course, this official position was not always honored by Americans in Vietnam. There was hypocrisy. Among the rank and file, “Gook” and other insulting words in regards to Asians were thrown around a great deal. Racism of many varieties was still quite common in the US and they brought such attitudes to Vietnam. Furthermore, if the enemy is racially different , racism is to be expected-particularly in a war zone. The enemy and the civilians, who give him aid and comfort, will not be spoken of in complementary tones or treated with respect. And, it must be admitted, My Lai was not the only atrocity committed by US forces in the Vietnam war. There were others, many others-a subject far beyond the scope of this paper. On the other hand, at least according to a good friend of mine who served as an infantry company commander and did (unlike most Vietnam Veterans) experience combat, many US servicemen were under strict orders to treat the locals with the utmost courtesy, especially AFTER the sorry My Lai business. There was a positive result. US forces “in the bush” were, for the most part, much better behaved after My Lai. Whether or not Lt. Calley actually had orders from his commanding officer, Capt Ernest Medina, to murder noncombatants as he saw fit, remains uncertain. At the official Army Criminal Investigation Inquiries held in late 1969 and early 1970 Medina, though he admitted “sugar-coating” his reports and participating in the cover-up, he denied giving orders to execute innocent civilians. Fortunately for him, he was not present in My Lai while the murders were occurring. In November 1970, after many attempts by US army leaders in the related chain of command to whitewash or cover up the sorry business, fourteen officers, including the division commander himself, were brought up on charges. One by one men were exonerated and charges were dropped. Once all was said and done, 2nd Lt William Calley was the only fellow left standing, the only one actually court-martialed and convicted of the charges leveled against him. He had personally shot 22 civilians. This he admitted. He had no choice. There were so many witnesses he couldn’t deny it. The testimony against him was overwhelming. Yet Calley had friends. Many in high places, including retired military leaders and politicians, defended him as the guy who simply became the “scapegoat” for US atrocities in Vietnam in general, but they could not stop his court-martial and conviction and were only able to see that he served no time in prison, that his “imprisonment” was merely a three-year house arrest. There was some merit to their defense of the beleaguered Lieutenant, but by early 1970 it became obvious to the US government that somebody had to pay for My Lai, and most of all, the damned thing needed to disappear from the headlines. Domestic opposition to the war, already at an uncomfortable level by the late sixties, only increased when the news of My Lai broke. Considering the pig picture, as to German Police battalion 101, there is no debate: this unit was sent to Poland by the German government on a chilling but simple mission: locate, assemble, and kill Jews. 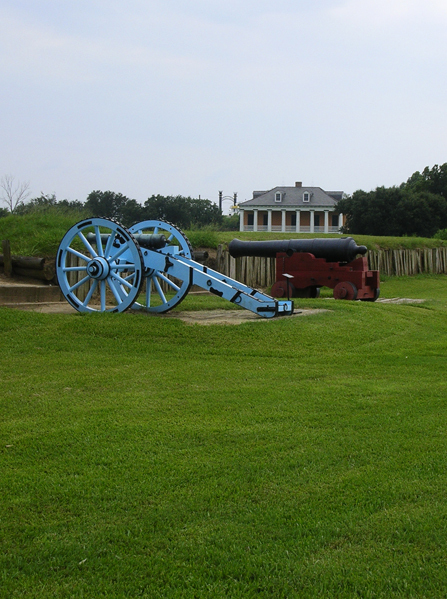 Their mission was made very clear to the five hundred or so men of that unit prior to the firing of the first shot. At the beginning, the men knew that they were to be instruments in genocide. In testimony offered years after the war, none of those questioned doubted their mission. They were sent to Poland to kill Jews. The Jews, essentially non-combatants, were the “enemy.” It was all very simple and straightforward. Imagine if you can, a country where cold-blooded, systematic massacres in an otherwise “peaceful” situation, massacres that make our more recent Sandy Hook and Columbine shootings in the US seem pretty tame by comparison, are occurring EVERYDAY for several terrible years. No, the Poles didn’t see reports of this on CNN. They didn’t even read about it in the newspapers. But everyone knew what the Germans (with Polish collaborators) were doing. News of this sort travels quickly from person to person and house to house. What the Germans were up to was no secret. That was Poland during WW II. SECOND, the My Lai massacre was performed by combat troops in a war zone where they were fighting an elusive but deadly enemy who often blended into the local population. Prior to that terrible day in 1968, Lt. Calley’s unit had suffered real losses to a real enemy, 28 men killed and wounded. Police battalion 101 did NOT operate in a war zone. The real war on the Eastern front and elsewhere, was hundreds of miles away. Furthermore, the men of #101 had NOT been in combat, had suffered no losses and, according to Goldhagen, during their fifteen month tour of duty in Poland were NEVER engaged in deadly combat with a real enemy. They were executioners, not soldiers, though they often prided themselves on their “dedication and courage” and took pride in the commendations the unit received from a grateful government. * What they did was both inexcusable and beyond understanding to a rational, reasoning mind, a mind where a conventional morality is held. THIRD, once the deeds of Lt. Calley and his men were brought to light by US journalists, there was a scandal. The US government was embarrassed and Calley was relieved of his command and brought up on charges. High-ranking officers who had participated in the cover-up were stripped of decorations and sent letters of censure. Even Calley’s division commander was demoted from major general to brigadier and lost his position as commandant at West Point. There were consequences and repercussions up the chain of command. In Nazi Germany there was no scandal, no need for any “cover-up.” No participants of the German Police Battalions were brought up on charges for the murder of Jews by the Nazi Government. Quite the opposite. They received praise and commendations of gratitude from their government. Clearly, the German government was proud of these men. FOURTH, a few Americans, notably High Thompson, a helicopter pilot who stumbled onto the grisly business as it was happening at My Lai, tried to intervene and rescue Vietnamese civilians. Though shunned by some of his comrades initially, he was later commended by his superiors and awarded a Bronze Star for heroism. As far as we know German Police battalion 101 did their work without hindrance. No fellow Germans tried to stop them. Had anyone tried they would have gotten themselves into big trouble. FIFTH, Charlie Company did this terrible thing, the murder of somewhere between 350 to 400 civilians, only once. It had not happened before and it did not happen again. The story is dramatically different for Police Battalion 101 twenty five years before. The massacre at Jozefow was only the beginning. They continued from place to place with their grisly business, doing the same thing over and over again. Author Goldhagen believes that this unit alone was responsible directly or in part, for the deaths of over eighty thousand innocent civilians! The deeds of the police battalions were never officially made public until well after war’s end, though many in the Fatherland knew of them. Any zealous reporter or journalist who attempted to announce the business of the police battalions to the German public would have found him or herself in prison. Or worse. Nazi Germany was a police state. There was no American style freedom of the press or free speech. Major Trapp was never brought up on charges. There was no scandal involving Major Trapp with the German press or the Nazi government. On the contrary, his unit was ordered to proceed to other towns and villages and murder more Jews. Again and again. Now to call the question: Is there any real similarity between the deeds of Lt. Calley and his men to the deeds of Major Trapp and his men? Lt Calley and the men of Charlie Company operated within a universally recognized moral universe, a system of right and wrong, good verses evil, sanctioned and approved by the society from which they originated and the nation they served. In the months following the My Lai incident they attempted to hide their deeds and “sugar-coat” the after-action reports using language that gave no real indication of the terrible truth. They tried to “sweep it under the rug.” But they did not succeed. The truth came out and they had to own up to their deeds. The men of Charlie Company sitting on the docket knew well that many of their comrades in other units who had done similar things (though not on the scale of My Lai) would escape official scrutiny. In this they can be compared to the fellow motoring along in a crowd of rapidly moving vehicles who finds himself pulled over and ticketed for speeding. He was not only in violation of the law, he was just plain unlucky. But…. it didn’t make him right and he had to pay the fine. The frightening question is this: would I, had I been a part of that unit, succumbed to powerful peer pressure, a mob mentality, and violated the standards of morality and decency and fair play that Americans celebrate and hold dear? Or would I have exercised appropriated self-control and said “No” when all around me my comrades are saying “Yes” to the demons that had laid hold of their souls that terrible day at My Lai? Would I have kept my moral wits when even my best buddies, all other members of my unit, were losing theirs? As bad as My Lai was, German Police Battalion 101 presents us with a much different and far more sobering situation. They operated in an entirely different moral universe, one where traditional ideas and standards of right and wrong had been discarded altogether, a new morality, one where the dominant groups deserved to exist and prosper and lesser social groups, especially the Jews, a group officially deemed sub-human, did not deserve to exist at all. For the good of Germany and the world, they needed to be exterminated. Put simply, this man was part of a nation where a vastly different moral universe was acknowledged. That such a twisted, bizarre system of values could hold sway over the hearts and minds of people in a nation where a powerful, and pervasive Christian tradition existed, is chilling beyond words. The men of Police Battalion 101, unlike the men of Charlie Company, weren’t violating their own moral standards when they murdered innocent civilians, they were honoring those standards, doing what they thought was right and proper. They did not, as far as we know, harbor any guilt about it-at least not for a long time, at least not until they were forced to confront all this sorry business years later by their astonished conquerors. In excusing themselves, attempting to cover up or gloss over or hide the My Lai massacre the men of Charlie Company and those in authority over them did at least acknowledge that a terrible, inexcusable thing had occurred at My Lai. In the months following they ran away from it and distanced themselves from it as fast as they could. My Lai was a big failure and failure, as the old saying goes, is an “orphan.” Though many of the participants may have muttered various rationales, justifications, and excuses amongst themselves for the terrible business at My Lai, no American officer or official ever claimed that Charlie Company had done “the right thing”. On the opposite hand, the men of Police Battalion 101 and the officials in charge did not, for many years, believe that they had done anything wrong. On the whole, all the evidence and testimony suggests that they were quite proud of what they had done. Furthermore, I suspect that many of them never thought twice about their deeds and went to their graves with a clear conscience! In general, the work of the German Police Battalions in Poland during World War Two represents a far more chilling, frightening scenario than the moral lapses of US servicemen in Vietnam in that war. Is there a moral equivalency between the two scenarios? Absolutely not. Though the end result (for one day’s work) was the same, they’re far more different than they are similar. Charlie Company in 1968 was a “rotten apple”- good guys gone bad. But German Police Battalion 101 in 1942 was “a poisonous fruit”-deadly by nature. *Of the 38 Police battalions that participated in genocide, author Goldhagen tells us that a few of these units were sent East to a real war zone and actually DID engage in combat with the Soviets, a real, rather than imaginary “Jewish” enemy.